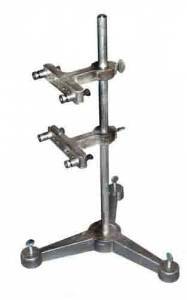 This rugged aluminum movement test stand is completely adjustable. It has 3 thumb screws for leveling in all directions. 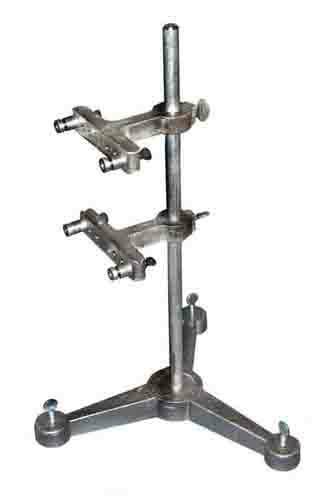 The horizontal arms are grooved for securely holding rectangular movements. The adjustable round collars are designed to firmly hold round movements. 16-1/2" tall. 1/2" post diameter. Made in the USA.